We’ll discuss basic vocal technique and care for the voice. Learn how to strengthen your voice and increase your range. 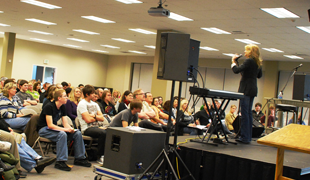 Learn how to improve your tone and relieve tension in your voice We’ll discuss stage presence, communication, – all part of what we do as we sing and lead in worship – all this and more are covered in this interactive class that’s fun yet very informative. Fine tune your worship team vocals. 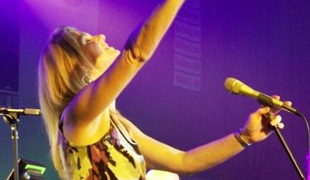 Learn how to take your vocals to the next level by sharpening listening skills and intonation. In addition we’ll cover mic technique for group singing, getting the best harmony & blend for your group, improvisational techniques, arranging your team, finding the best keys, how to work productively with your tech team, how to gracefully submit to leadership and much more! “What do you do with a Diva?” “Keeping your motives pure” “How do you prepare yourself for leading in 10min when you’ve spent all morning putting out fires?” among many others. Her classes on “Women in Leadership” and Women Leading Worship” are filled with tools to help women navigate through the sometimes tricky waters of leading in a primarily male dominated craft. Having spent 13 years as director of Good News Productions, Sheri is also uniquely qualified to speak on all things drama related as well. She has experience in writing, directing, composing, choreographing evangelistic musicals as well as all the things that go into starting and growing a thriving drama ministry in your church or community. 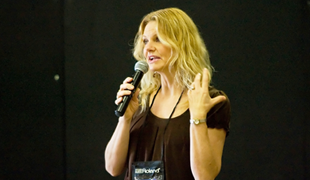 Sheri is also available to share her exciting, touching and challenging testimony.